This is a free autograph signing event (no outside items allowed) with a photo op with Eddie George for ticket holders only. Tickets must be picked up beginning at 7:00 a.m. on Thursday, November 17th, two days before the signing on the 19th. 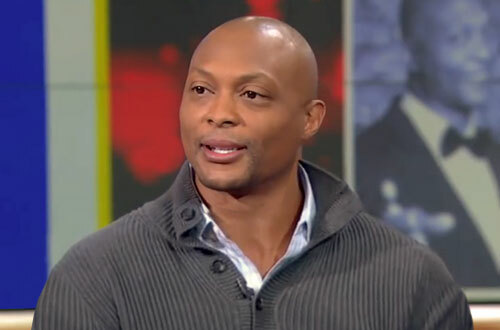 Eddie George is a former running back who played in the NFL for nine seasons. He won the Heisman Trophy in 1995 and was drafted in 1996 by the Tennessee Titans. He played college football for Ohio State University and won the Heisman Trophy in 1995. He was drafted in the first round of the 1996 NFL Draft, and played professionally for the Tennessee Titans (both in Tennessee and in Houston when the franchise was known as the Houston Oilers). George was inducted into the College Football Hall of Fame in 2011. Sports Speakers 360 is a booking agent for pro athletes. If you would like to book Eddie George for a speaking engagement, appearance or endorsement, contact an Eddie George booking agent for fees at 1.855.303.5450.